Wow, what a challenge this was….but it was heaps of fun going through the op shops looking for lace…I came out with a bag full ~ and only needed just a tiny bit! This is a gorgeous Santa Rosa stamp that every time I looked at it, I just couldn’t get the whimsical feel out of my head…so when I came across a feather boa at the op shop! I hope this close up gives you feel of the whimpsy-ness….. 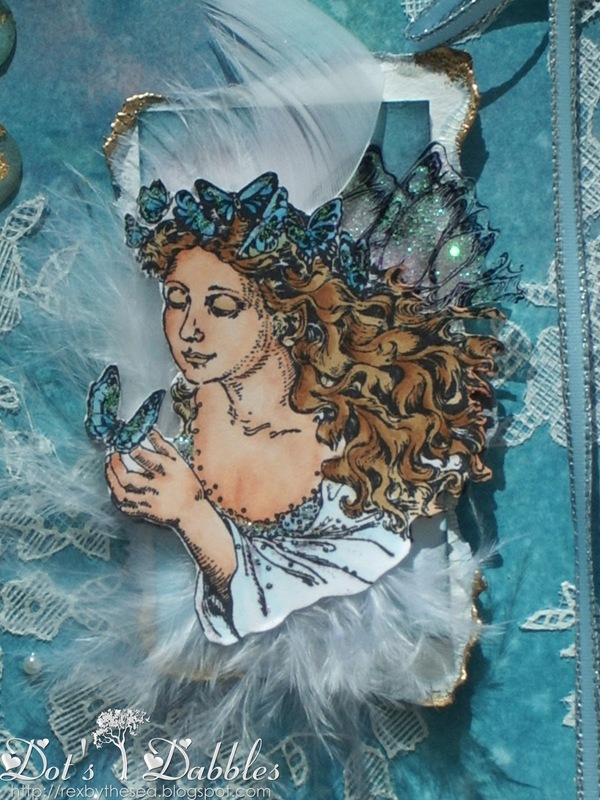 The lace is from a netted table piece, and I just cut around the lace bits that I wanted and put them on the card. The gold highlights are from some TH gold embossing powders just dabbed into the corners of the main card and the centre card. Also I used some gold leaf flecks under some dome stickers and mounted on matching blue card as a highlight, I wanted to carry the gold feel through…all the card is distressed with TH Broken China and Victorian Velvet then sprayed with a fine mist of water. And the blue ribbon is from my stash. Oh, and I used acetate for the wings and put some glitter glue on the back, as well as on the butterflies and to highlight the dress. Gorgeous card. Very Stunning. Beautiful colors. Thanks for playing along with us here at Speedy the Cat's Friends challenge this week. Hope to see you again next week. Ceaseless talent girlie, that's what you have. Another one off masterpiece that looks so timeless and serene. Thanks hunny. Dot this is enchanting. The lace and feather accents do give it the whimsical feel that you were going for. Pretty colors and layout. Thanks so much for playing with us at Speedy the Cat's Friends challenge. It was a pleasure to come to visit and I really enjoyed what I saw! Gorgeous card, love the image so pretty! 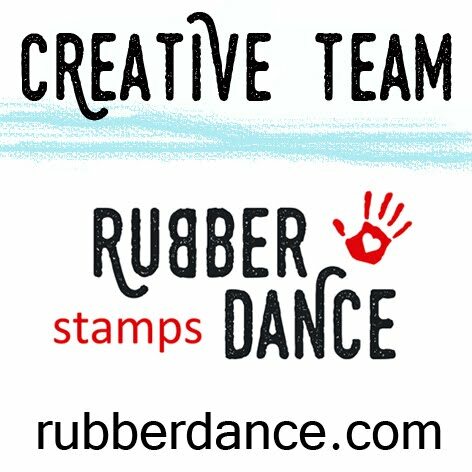 Thank you for sharing with us at Crafty Sentiments this week, good luck! Beautiful – the lace is such an elegant addition to your card. Thanks so much for sharing your creativity with our "Anything Goes" challenge at Aud Sentiments! Oh wow–what a beautiful and creative way to use lace on your card!!! This image is so pretty and you did a fantastic job of coloring her! Great job!!!! Thanks for playing along with us this week at Speedy the Cat's Friends challenge. This is absolutely gorgeous Dot. I just love that image and will have to investigate Santa Rosa further. Beautiful colors and lace and the feather boa looks very glamorous. PS: Sorry to miss your birthday so a belated Many Happy Returns and hope you had a lovely day. Dot, such a wonderful card, love the soft colors and the romantic image. A beautiful card Dot, I love the image and colours you have used and the way you have cut and used the lace is superb. 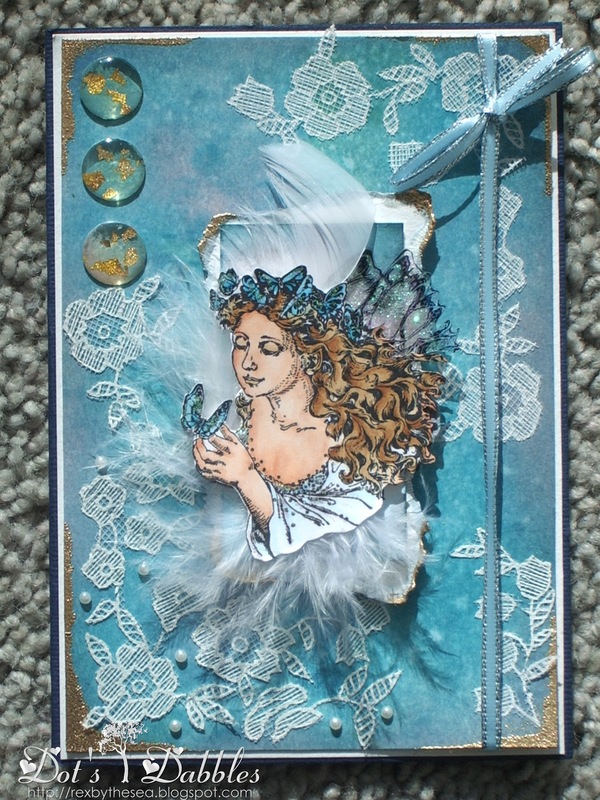 Lovely card Dot, thats a fabulous image and I love the way you have used the feather. so pretty and ethereal, Dot. Thanks for entering this in the challenge to use lace on your card at Speedy the Cat's Friends. Thanks for playing the Inspiration Photo Challenge at 4 Crafty Chicks, great job! Dot, this card is truly so dreamy! The lace makes such a lovely background! Beautiful if every way! thanks Caz…it is wonderful to ""meet" you too. Enjoy being a fashionette, we are a lovely lot… and have heaps of fun! The best part is sharing and seeing what talent everyone in blogworld has! Thanks for joining us at 4 Crafty Chicks this week – your card is beautiful! Pretty wispy card…lovely focal image. Beautiful! Love all the dimension! Thanks so much for playing along with CR84FN!!! So very pretty – I love the feather and lace trimmings! Gorgeous. Thanks for playing along with CR84FN!